One lock for three parts, easy to use. Liner lock can avoid the shaking when used. Foldable Design: Keep away from fire and avoid scalding. Plus, it helps save space and portable. 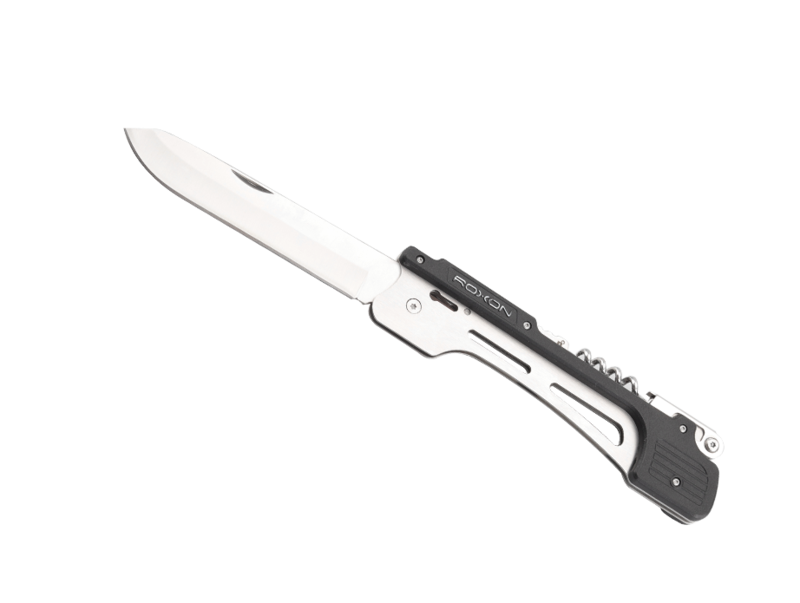 The handle is made from aluminum alloy, PP+ fiberglass, this makes it lightweight with wonderful look. 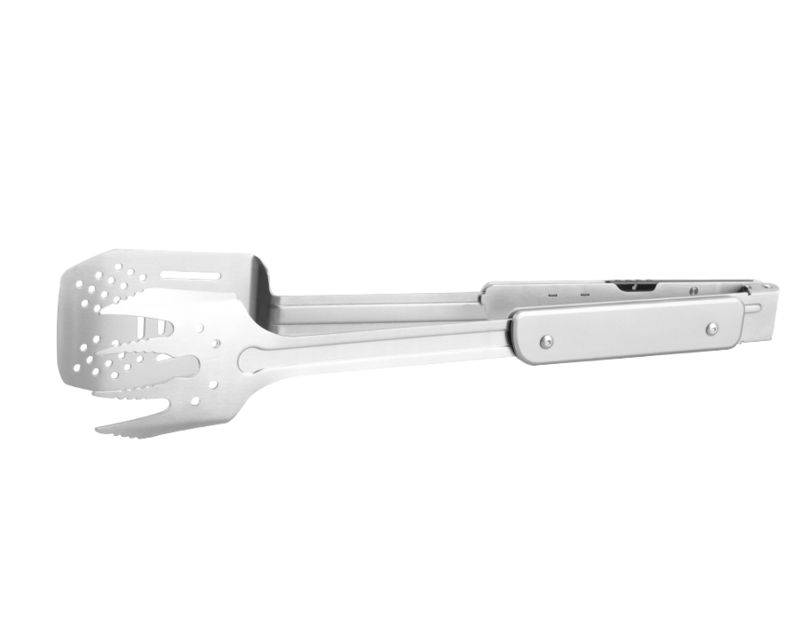 The slot line is processed by ribbing technics which improves the whole bearing performance. Saw-tooth structure helps carry food stably to avoid falling down. 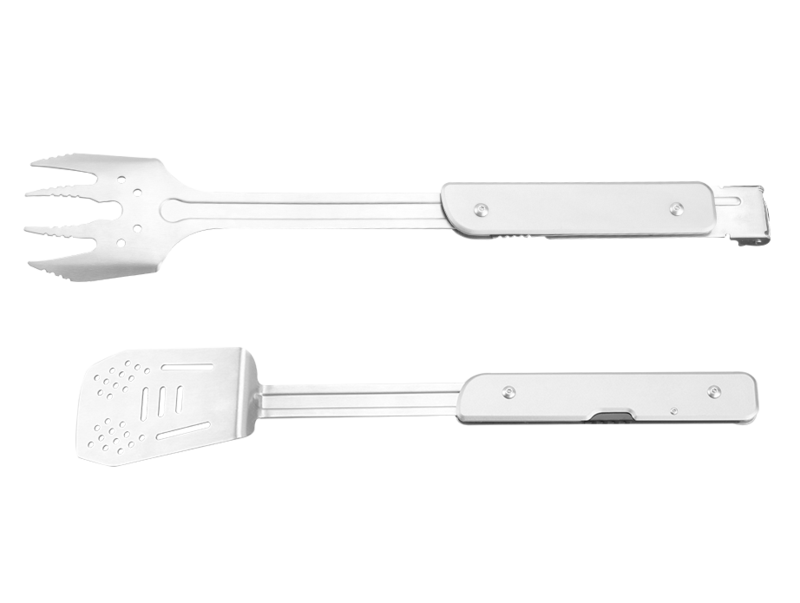 Large area of spatula: not only suitable for barbequing, but also easy for stir-flying of food. Hollow design: avoid food falling down, leaving out the excess oil of the meat. Comfort Grab Feel: With High elastic spring, you could use it freely, and its lightweight is competent for long time operation. 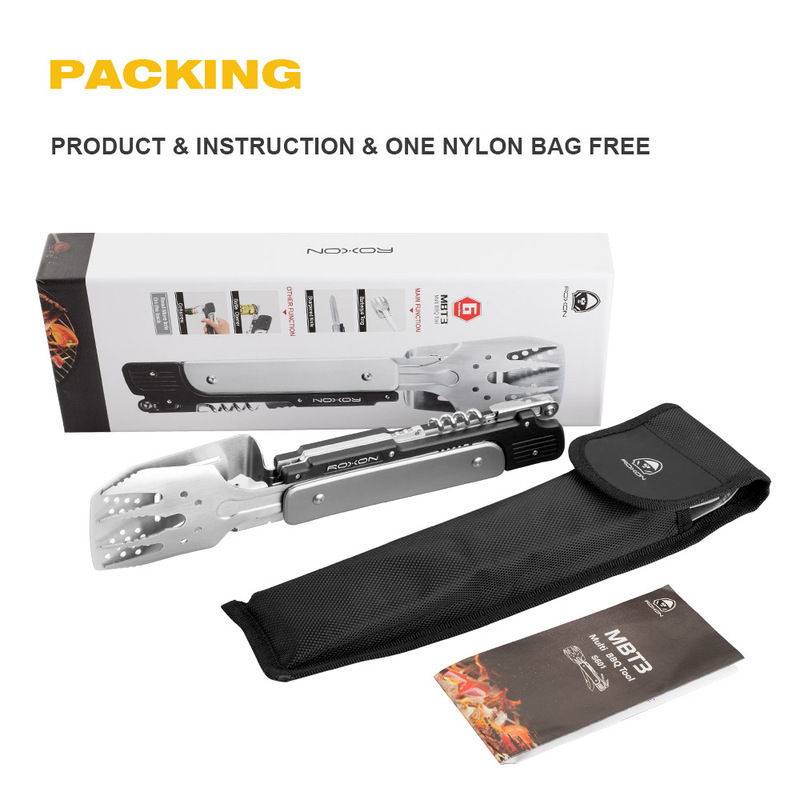 Safety and stable: The liner lock structure avoids shaking when used the tongs, and let you enjoy the BBQ. 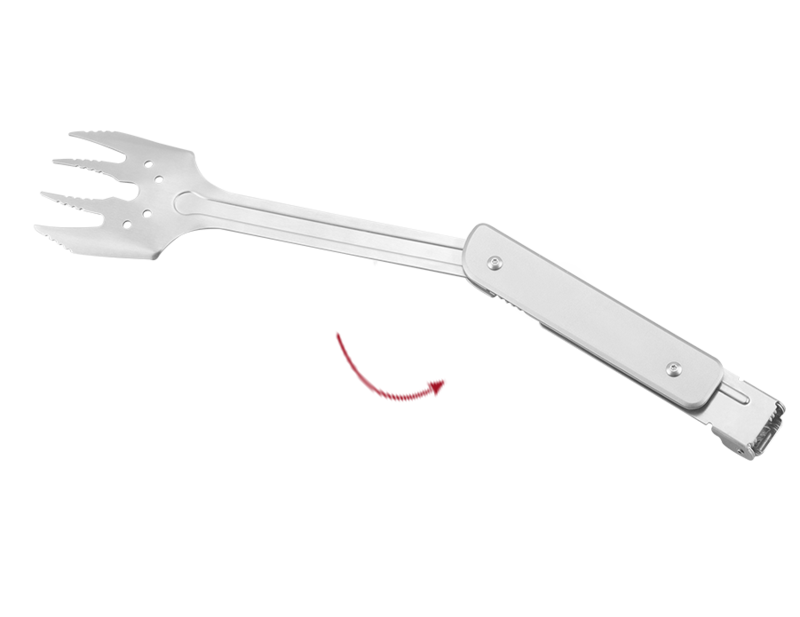 Bevel spatula: Can fork into meat easily. 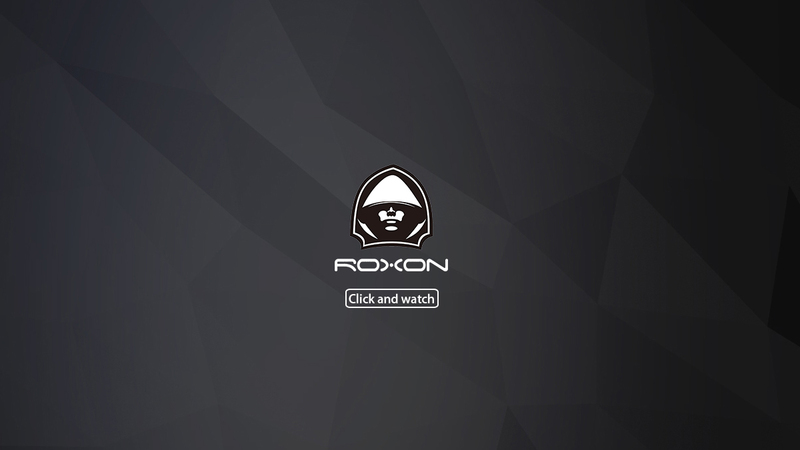 Wonderful Look: break out the traditional design, the knife is on the go in style. 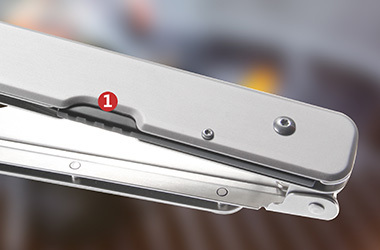 13cm blade: Long enough to avoid from scalding when cut food on the oven. 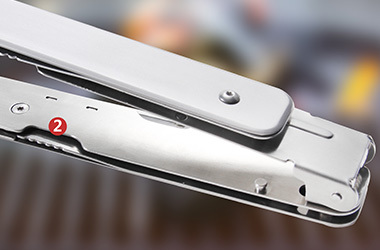 Handy safe lock: Need to press switch when open or close, it avoids blade cuts. 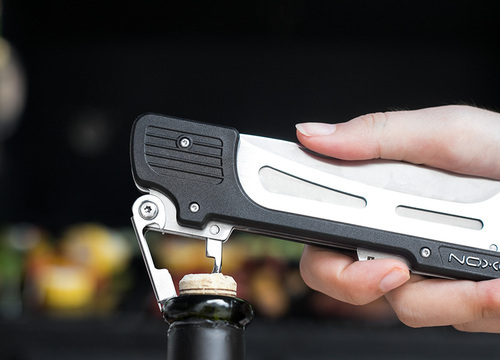 Use friendly, taste the peculiar flavour of wine and barbequing. 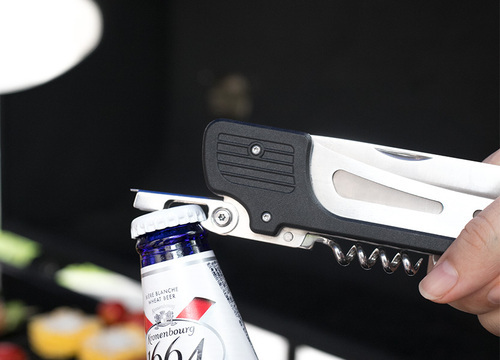 Essential assistant to pen all kinds of beer, soda bottles. 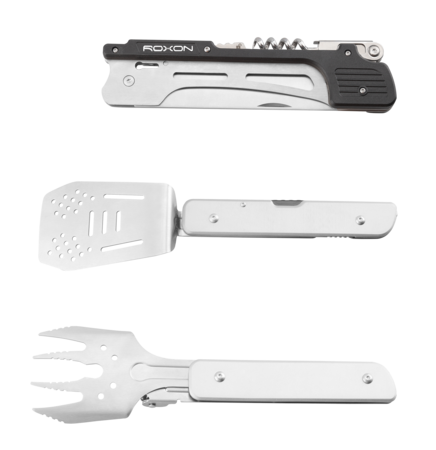 Roxon pursues product innovation and insists on bringing a more portable and durable multi-function tool for mission.